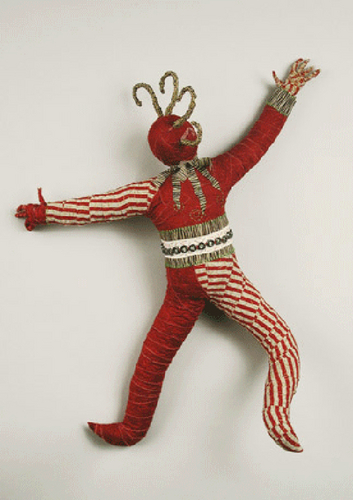 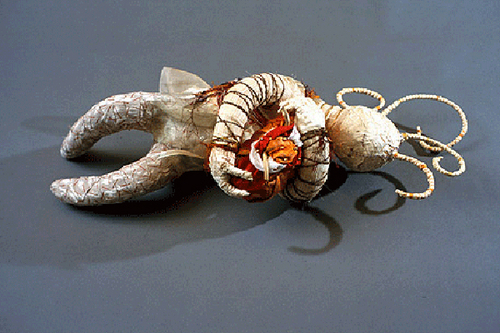 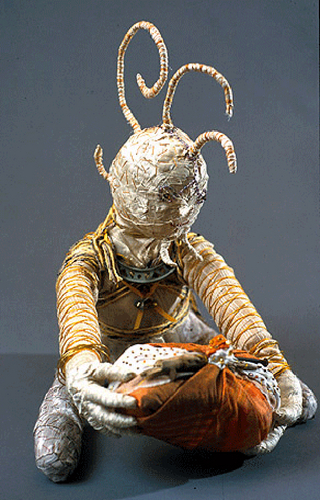 Wire armatures wrapped with fabric, embellished with beads and stitching. 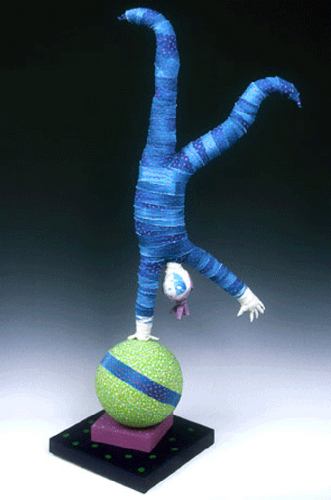 Wire armatures wrapped with fabric, embellished with stitching, perched on a wrapped styrofoam ball. 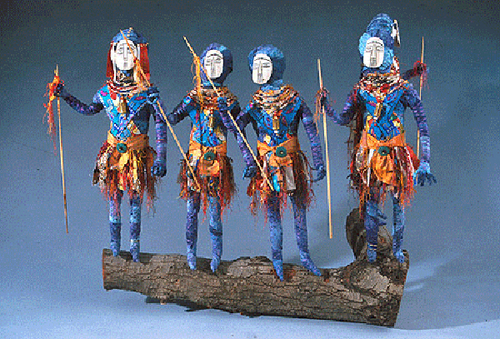 Wire armatures wrapped with fabric, embellished with beads and stitching. 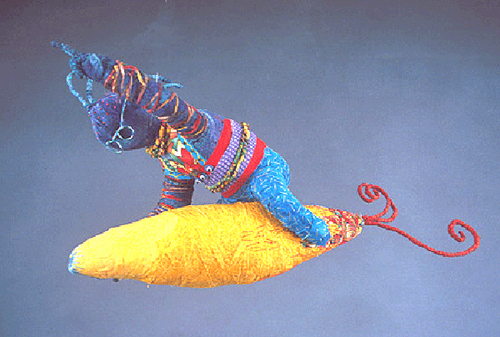 Free hanging.